Five children find a route through the wilderness in this exciting mountain-race adventure for middle grade readers. Sal, Joe, Francie and Humphrey misplace their famous mapmaker mother as they begin the Great Race to map a rail route through an uncharted wilderness. Their f... read full description below. 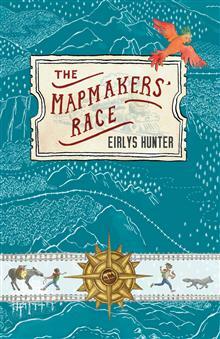 Five children find a route through the wilderness in this exciting mountain-race adventure for middle grade readers. Sal, Joe, Francie and Humphrey misplace their famous mapmaker mother as they begin the Great Race to map a rail route through an uncharted wilderness. Their father didn't return from his last expedition and now their money is gone. This race is their last chance. They have 28 days to find and map the best route. There'll be bears, bees, bats, river crossings, cliff falls, impossible weather-but worst of all, they're racing five teams of adults who do not play by the rules. Eirlys Hunter was born in London and lives in Wellington, New Zealand, where she teaches children's writing at Victoria University. She has written seven children's books, as well as a novel and short stories for adults.